When Edgar Wright left the Ant-Man project earlier this summer, the alleged straw that broke the camel's back was a surprise re-write that fixed two problems Marvel had with the last draft that Wright and co-writer Joe Cornish had turned in. Those two "problems" were that the film's "core morality" as well as "franchise characters" not getting enough love by the current standards of the Marvel Cinematic Universe. For those of us who wanted to see Edgar Wright's unfettered, unaltered Ant-Man, we'll probably never get the chance to even the now fabled draft. So what does that leave us with? Well, details have been slowly leaking out, sketching out the film's possible and confirmed trajectories in plot and character development. It sounds like the morality of the picture might be "improved," and the representation of pre-existing Marvel Cinematic Universe characters has been more than fortified. In fact, everything that's out there right now, both rumor and fact, has us thinking that Ant-Man is going to be the most important Marvel Studios picture in the entire MCU, connecting not only to the present and future of the entire operation at hand; but also filling in some essential blanks in the past. In the comic history of The Avengers, Hank Pym's Ant-Man was one of the first members of the team, and judging by the 2012 film introduction to Earth's mightiest heroes, you wouldn't know it. However, Marvel seems to be correcting this error with some fancy retcon work in Ant-Man. In addition to Hank Pym being named one of the "founding" Avengers, he also looks like he'll be interacting with two favorites of the Marvel Cinematic Universe: Peggy Carter and Howard Stark. While we've seen Peggy and Howard during the 1940's, the 50's onward are a bit of a haze. Agent Carter will fill in the gaps that come after Captain America: The First Avenger, ending at some assumed point in the 1960's - 1970's, at the very least 1974. Why '74? Because that's when the Stark Expo hosted by Howard Stark, takes place, and since John Slattery is back in the saddle as Howard Stark, this all makes sense. While "The Avengers Initiative" may not have been deployed until 2012, its beginnings are clearly linked to the formation of the SSR and S.H.I.E.L.D. So don't be surprised if young Hank Pym shows up alongside young Anton Vanko in Howard Stark's lab on Agent Carter. Another part of Ant-Man's story is rumored to take place in the relative present, theoretically around Phase 1 of the Marvel Cinematic Universe. This portion focuses on "crooked father"/master thief Scott Lang – who looks like he's going to steal the Ant-Man suit in the new footage we discussed the other day. However, looking at the version of Ant-Man Marvel trademarked as late as last December, it looks like the project will be riffing off of the "Irredeemable Ant-Man" variant of the character. If this is true, then the theft of the suit might tie Ant-Man directly to Captain America: The Winter Soldier, as the theft takes place during a Helicarrier crash. Should this hold true, Scott Lang is stealing the Ant-Man suit while Steve Rogers and his team are fighting HYRDA, providing a direct link into Phase 2. 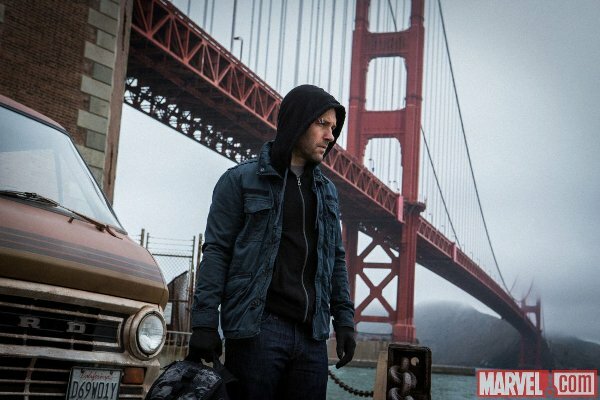 So how does Ant-Man tie into the future of the Marvel Cinematic Universe? This is where the fun comes in, as we'll only truly know once we've seen The Avengers: Age Of Ultron. 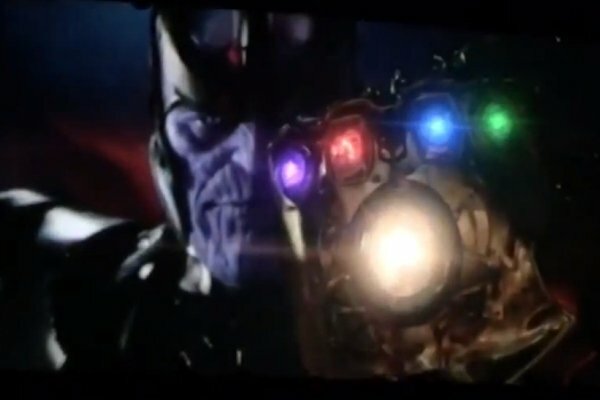 However, that very film is changing the Avengers team, as it will drop and add new characters by the end of the film. As if that's not bad enough, Civil War is brewing in the Marvel Cinematic Universe, threatening to plunge the entire canon into chaos, pitting Avenger against Avenger. Which is the best time to deploy a film like Ant-Man, the film that actually closes out Phase 2 of the Marvel Cinematic Universe. That's right, instead of the seemingly traditional Avengers cap off, we're getting a film that might show us how The Avengers were created. Better still, the heroism in Ant-Man, between Hank Pym and Scott Lang, will show us just why we need The Avengers. Because while our heroes might be a danger to each other as they debate policy through fisticuffs, there's a greater danger looming in the wings (see the picture above).